In July of 2011, something... strange... was happening to Krawk Island. 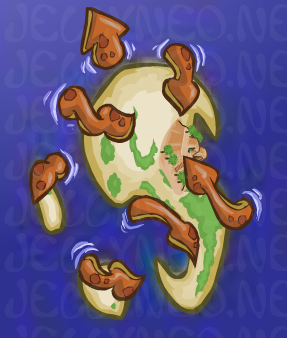 Large tentacles sprang out of the sea, wrapping themselves around the small piece of land. A week later, it was revealed that Krawk Island had vanished! Did the creature drag it fifty fathoms underwater? Would we be able to get it back? Time to adventure on! A dinky little shanty survived the attack. Inside, Gavril McGill and his Warf petpet were gathering data. 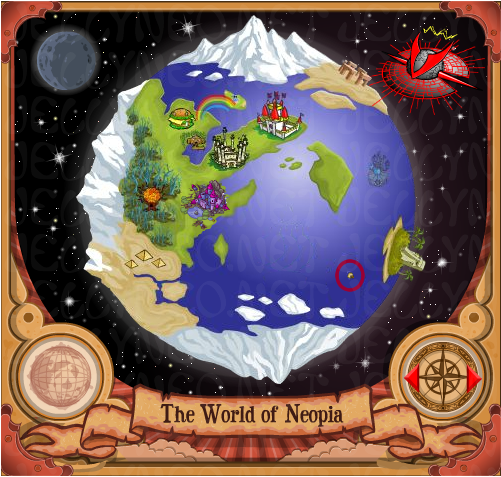 Neopians could help by searching the seas. Islets that were found must be towed back to where Krawk Island is going to be formed. Hoist the anchors, we're settin' sail! After weeks of work, the new Krawk Island is unveiled! 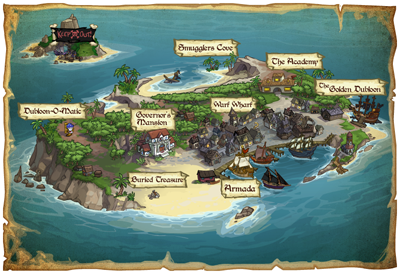 Explore the revamped Krawk Island! If you participated in this event, you can visit the Governor's Mansion for your final prizes. Everyone gets access to a new daily: Anchor Management. 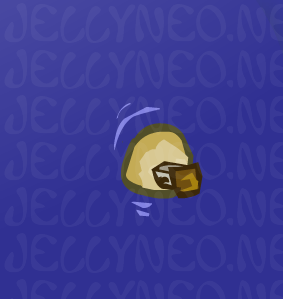 Note: The number of prizes and the amount of Neopoints you get depend on how much you participated. Governor Mansion Stamp and the Krawk Island Site Theme were awarded to those who completed each new task on the day of their release. Some users experienced glitches with these, however. Awarded to users who visited the Governor's Mansion after participating in the Krawk Island Disappearance event.